Professor David C Harrowven is Professor of Organic Chemistry within Chemistry at the University of Southampton. David Harrowven was born in Norwich and educated at Sprowston High School and the University of Southampton. He completed his B.Sc. in 1985 then entered the graduate school, pursuing the total synthesis of forskolin under the guidance of Professor Kocienski, FRS (Ph.D., Southampton 1988). A postdoctoral fellowship with Professor Pattenden, FRS at Nottingham was followed by a two-year teaching fellowship at Nottingham. In 1992 David joined the faculty at the University of Wales, Bangor, before returning to Southampton in 1994 as a Lecturer. He was promoted to Senior Lecturer in 2000, Reader in 2002 and Professor of Organic Chemistry in 2005. 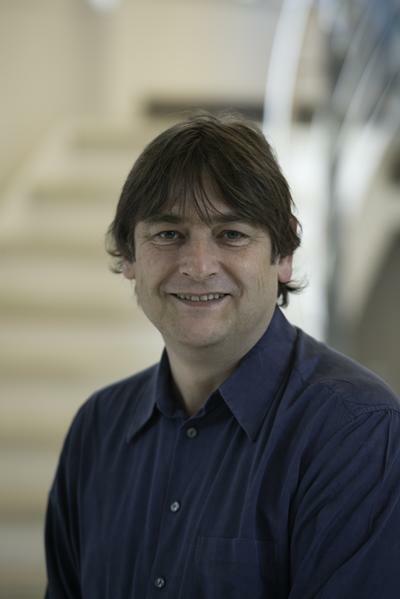 In January 2008 he became Head of the Synthesis Group before being elected Deputy Head of School for Research (from August 2008 to June 2011). David has been a Visiting Professor at the Universities of Toronto, Rouen and Caen. He is on the Executive Committee of the EPSRC Grand Challenge Network 'Dial-a-Molecule' and the Southampton lead on two InterReg sponsored research networks entitled 'Innovative Synthesis, Culture and Entrepreneurship' and 'Academic Industry Partnerships in Chemistry'. He has served as a consultant for Aventis and is a member of the EPSRC College. He is on the Organising Committee of ANORCQ and a lead figure in the Organic Chemistry: Synthesis, Catalysis and Flow group at Southampton with wide ranging research interests. The Harrowven group seeks to develop new methodology and strategy to facilitate the rapid synthesis natural products and unusual molecular architectures. They have particular interests in radical reactions, reagent free transformations, tandem and cascade reactions and modern aromatic chemistry. Notable recent achievements in the field of natural products total syntheses include syntheses of (–)-colombiasin A, (–)-elisapterosin B, riccardin C, pseudopterosin and cavicularin. Recent highlights in method development include the introduction of a general and high yielding route to polyaromatic and condensed heteroaromatic ring systems that is capable of preparing bent and twisted arenes. ‘Reagent-free’ cascade sequences giving access to a host of fused and spirocyclic ring systems are also noteworthy. Organic synthesis, natural product synthesis, tandem and cascade reactions, aromatic and heterocyclic chemistry, radical reactions.